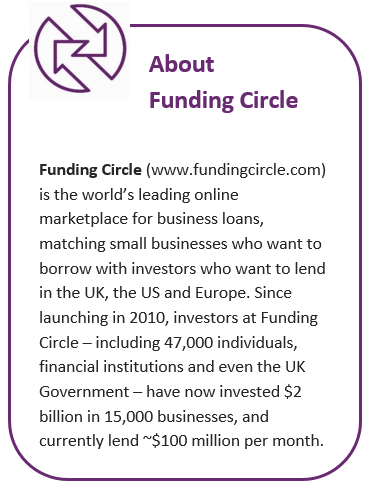 Marketplace loans are digital assets that live entirely in electronic format. Most traditional financial services providers still rely on antiquated processes and have been historically slow to change the way their businesses operate. Cumbersome, paper-centric processes do not easily or cost-effectively scale to support the high loan volumes and transactional speeds required by the marketplace lending business model. 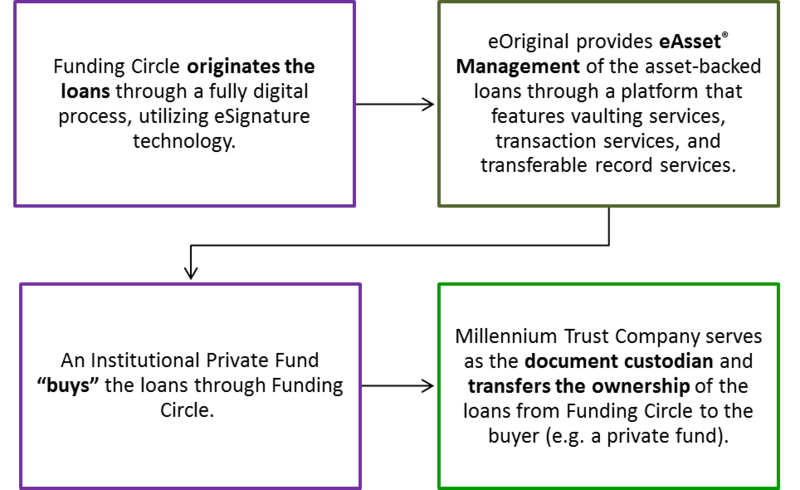 eOriginal and Millennium Trust Company were selected by Funding Circle to design an end-to-end digital solution to improve productivity and increase transaction speed while meeting and exceeding all regulatory requirements for the sale of loans to Institutional Investors / Private Funds. Elimination of mail, fax, and storage costs allows for increased funding speed, reduced costs, and improved ease. Any changes made throughout the asset’s lifecycle are executed electronically, significantly speeding up the time to re-register the loans within the fund and decreasing the possibility of human error. Millennium Trust Company is able to easily custody thousands of loans within an account. 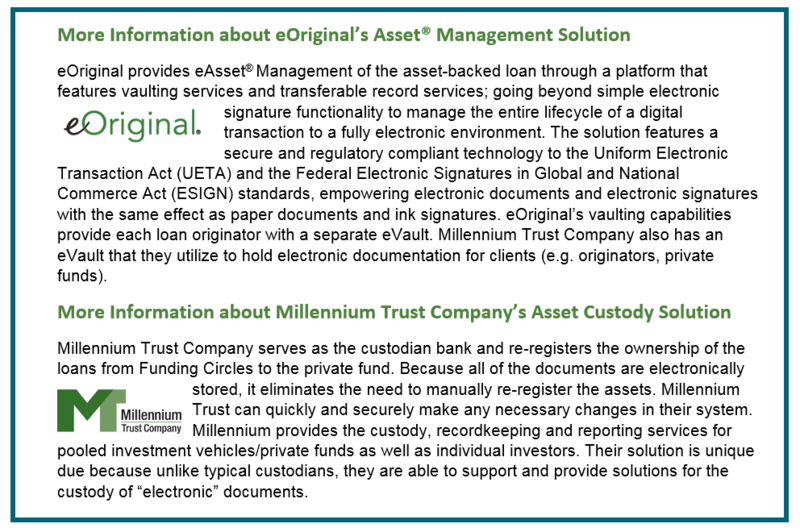 eOriginal provides a compliant and standardized method for vaulting and asset management, streamlining and providing efficiencies in the P2P marketplace. With data standardized, the process is accelerated when trading loans in the secondary market.